Food dye was injected into an egg yolk, frying in a pan containing honey, corn syrup, oil, and the results of a previous trial. The phase change from liquid egg white to solid can be observed. 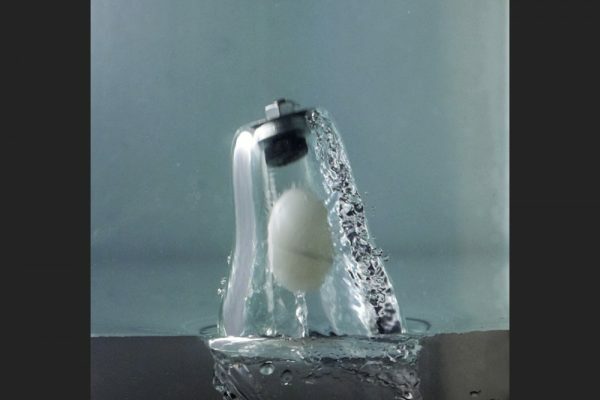 A ping pong ball falls through the cavity created by a tripod head when dropped into water, shown flipped vertically. 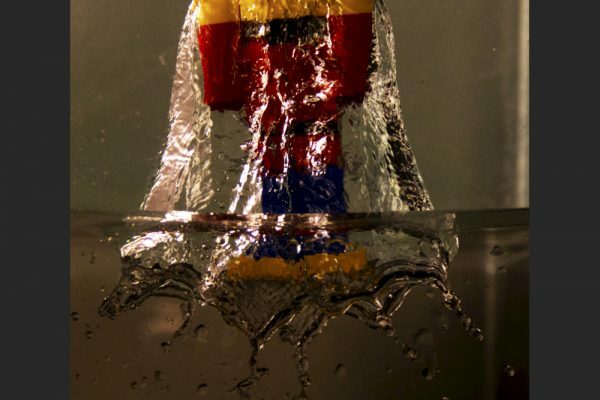 A Lego man creates a convoluted cavity and when dropped in water, shown flipped vertically. The splash is in the crown regime, determined by Reynolds and Weber numbers. 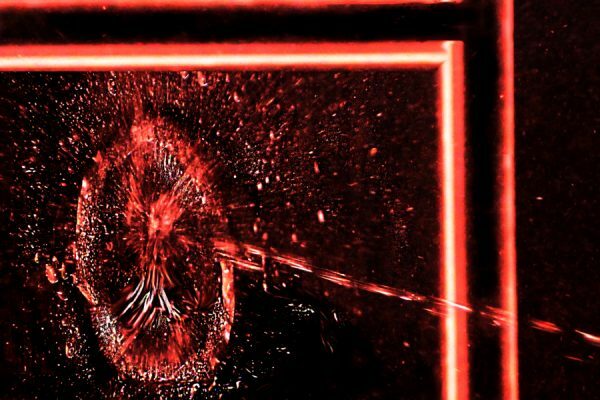 A bolt dropped into water first creates a cavity in the water surface, with some water ejecta. 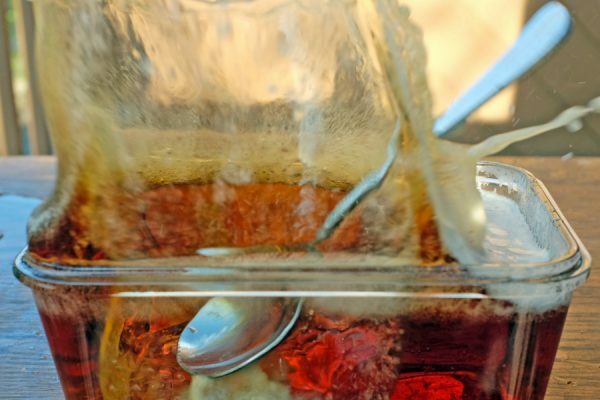 A falling spoon creates the best splash in old beer, compared to other kitchen implements. 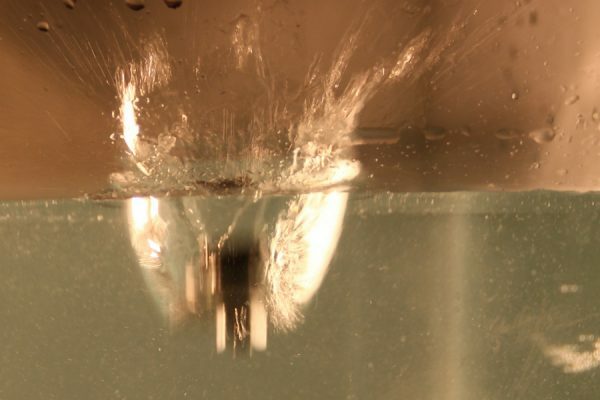 High speed video at 3000 fps reveals a hemispherical dome formed during the splash from a 1 inch bolt dropped into water. Video at 3000 frames per second reveals the periodic motion of lips and cheeks during the type of ‘buzz’ used by trumpet players (and inspired here by a jet from a water pistol). 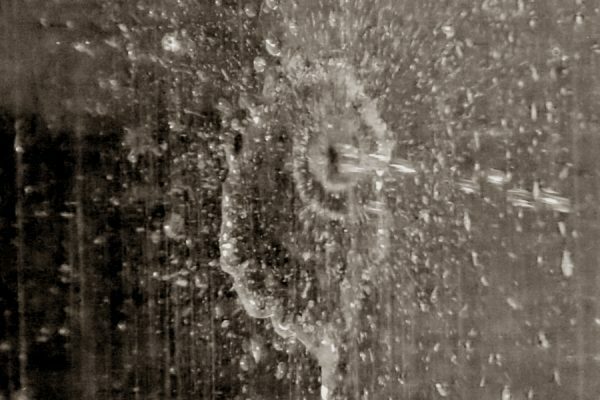 A jet from a high pressure water pistol striking a solid sheet at an angle does not reflect, but creates a circular pool, like an impact crater. A jet of water striking a solid sheet at an angle does not reflect, but creates a circular pool, like an impact crater. 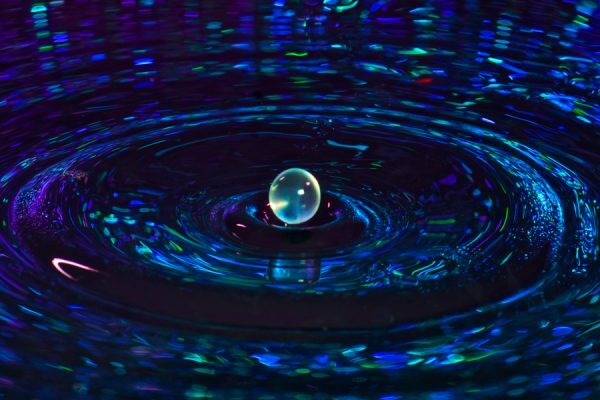 A spherical satellite droplet is formed following a droplet impact on water.